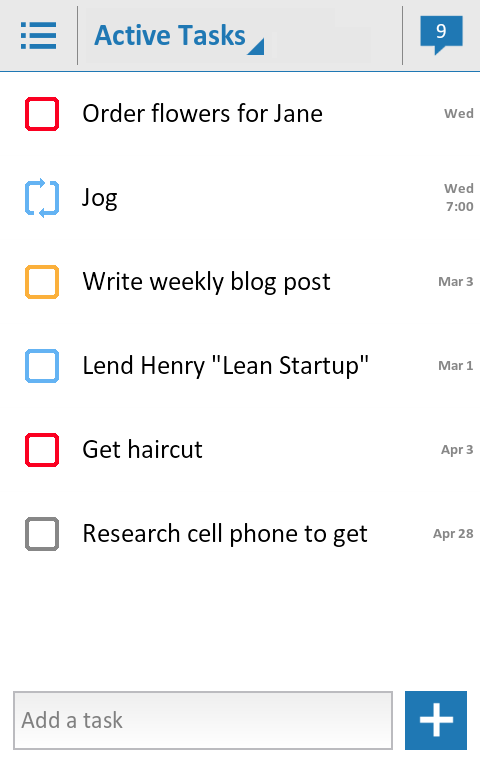 If you’re an iPhone user, you may not be as familiar with Astrid, which has turned into one of the most popular “to-do,” list-making apps for Android. We first wrote about Astrid when it joined thirteen other startups that composed AngelPad’s second batch. Astrid’s value proposition was simple: Offer users a clean, easy-to-use interface to enable sharing and collaboration around tasks. Other services have now come along to make this a familiar service, but the goal was for groups (businesses) to be able to assign tasks to each other, and broadcast to the group when those tasks are completed. In the big picture, Astrid was conceived to be a social way to encourage friends and colleagues to help tackle your to-do list, from sending memos to buying your mom a Mother’s Day present. A year removed from AngelPad, Astrid has moved across platforms, as the startup now offers a mobile site, Android, and iOS apps, with a Windows Phone app on the way. But, what some may not know is that Astrid was started as a side-project by co-founder Tim Su, then a software engineer at Palantir Technologies. Su was joined by co-founder Jon Paris, and the two launched Astrid on the Android Market when it was still young, back in the fall of 2008. Collectively, the team were early adopters and proponents of Android, says Paris, but like so many others, they moved on to focus on building for iOS and other platforms. 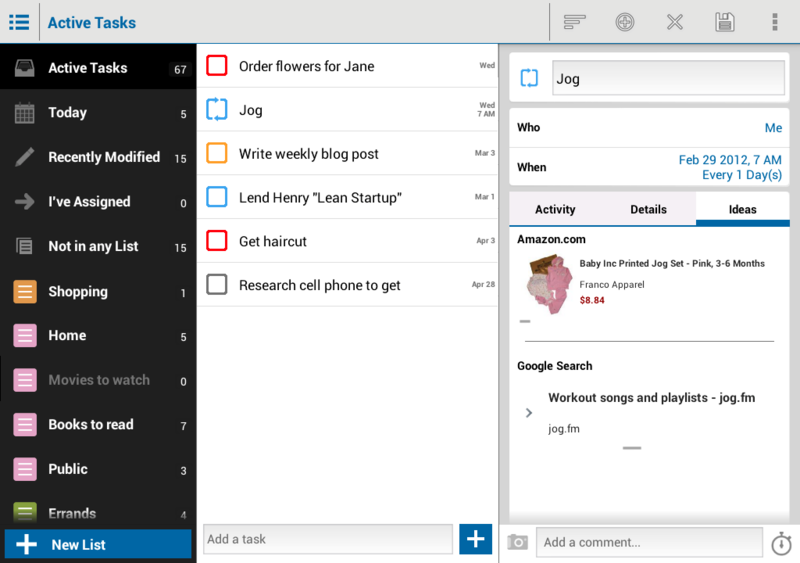 But, today, Astrid is officially returning to the platform on which it got its start, launching a new version of its service for Android tablets, accompanying a complete redesign for Android phones that features streamlined design and a new set of integrations aimed at helping users be more productive. More specifically, Astrid’s new app for Android tablets can be used independently, or synced with Android phones, iOS, and Astrid.com. The app is available now for the Samsung Galaxy Tab and Motorola Xoom, and will be made available in the next week for Kindle Fire through the Amazon App Store. The goal here, Paris says, is to make the UX easy for new users to adopt and learn without disrupting the experience of those using older versions. And, to that point, the CEO tells us that Astrid has helped people complete over 30 million tasks and has racked up 3 million downloads across platforms. Yet, while Astrid is one of the most downloaded paid to-do apps in the Android Marketplace, the startup is today launching a new revenue stream via integration with TaskRabbit. Astrid has long offered users the ability to share tasks with family and friends, but, as part of its new look, users can now outsource individual to-dos to TaskRabbit, the fast-growing personal assistant that lets users list errands or tasks that needed to be completed in its marketplace. For those unfamiliar, it’s basically an on-demand delivery network for outsourced tasks. Astrid is also now offering users the ability to view suggestions/ideas through integrated search with Amazon and Google, for the simple reason that many of us start their tasks with a Google search before popping over to Amazon to make a purchase. Again, in case it’s unclear, what Astrid is trying to do here is match to-dos and tasks with products and services that help get them done, a la TaskRabbit and Amazon. Paris says that he thinks this can be a win-win for both eCommerce retailers (and startups like TaskRabbit), as Astrid’s users are inherently people with full plates, looking to manage their tasks and lighten the loads. And eCommerce sites now get the benefit of getting traffic from people that are more likely to buy. In the case of TaskRabbit, for every user that ends up purchasing help on the site, for every transaction, Astrid takes a cut. Paris — and he’s not alone — believes that the to-do list space is understandably a potential goldmine for purchase intent, something that has been supported by the interest around Pinterest and its related monetization path. Clearly Gmail set the stage for crawling what is considered personal and sensitive information (your inbox) and matching it to related ads. Astrid is basically doing the same, serving up related ads when you search within the app for products/services that help you check off your tasks, but the CEO says that he understands the personal nature of to-dos, so users can turn off this new feature. Although not totally analogous, given what happened to Path, transparency in these situations is definitely advisable. For more on Astrid, check it out at home here.